Photographer Eirik Solheim took more than 16,000 photographs of a single spot in Oslo, Norway, in 2010, and selected 3,888 of those images to make this remarkable picture, which takes us from January on the left through December on the right, showing how the spot changes throughout the year. Solheim performs a number of photographic experiments, including seasonal time-lapses. He set up an SLR camera in his window, and the camera snapped one image every 30 minutes. So each image is identical, save for the date and time of day. 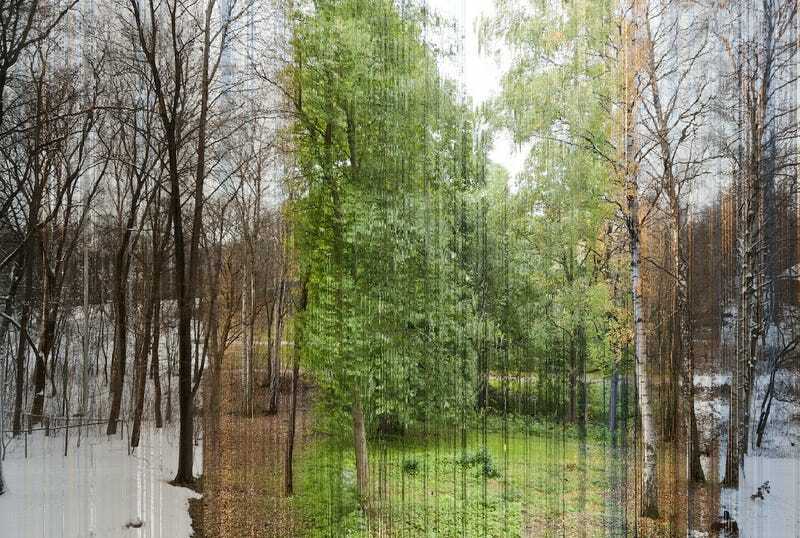 So he was able to build a composite image showing the variety of seasons and light over the course of 2010. Solheim offers prints and cards featuring the composite image through his website, where you can see more of his time-lapse experiments. Image licensed under a Creative Commons Attribution-ShareAlike 2.0 Generic License.